So when was the last time I wore this big hat on my blog? Anyway, these are just some more photos that Gabby took when we were still in Singapore. I was wearing yet another piece from Pick Market that has this unique cutting and gosh I really like the detail of the cut! Paired it up with simple black shorts and some accessories to make it look not as plain. Your blog is so good!! Checkout mine www.sasadebora.blogspot.com <3 DON'T FORGET TO JOIN THE MEMBER! Your blog is so good!! Checkout mine www.sasadebora.blogspot.com <3 DON'T FORGET TO JOIN THE MEMBER!Your blog is so good!! Checkout mine www.sasadebora.blogspot.com <3 DON'T FORGET TO JOIN THE MEMBER! 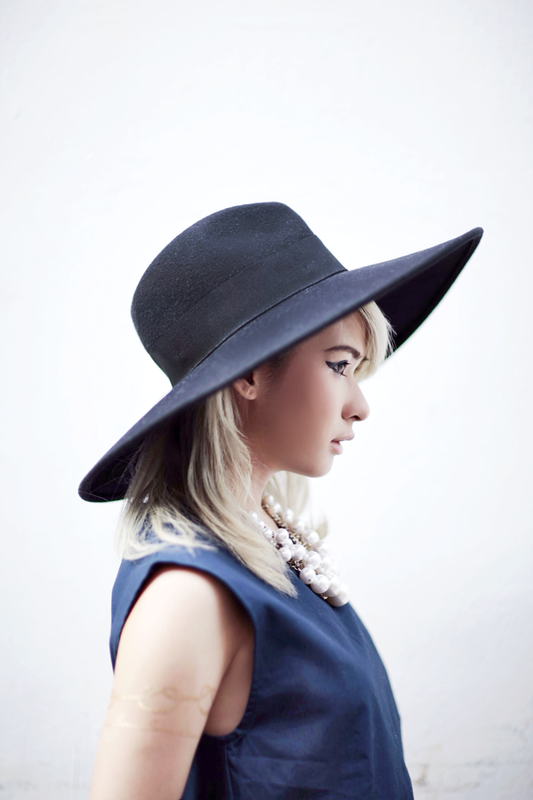 You always look stunning wearing wide brims! Loving the structure of the top! Bad girl Anaz! In love with the gold temporary tattoo! Love the top :O and the necklace is amazing! !